Let’s Celebrate!! It’s that time of year once again!!! Web-site is http://www.websterarboretum.org/explore/ click on EXPLORE in Pull-down Click on FIND US. This will give you a MAP of where the Arboretum is. Schlegel Rd is off of Route 250 north of 104. I hope this additional info is helpful. Another BLAST will go out the 1st of May and then again on the 6th of May. Hope to see y’all there. On behalf of Jim Hill – thank you for your support in this Day of Caring. Please bring gardening tools, rakes, gloves, etc. C'mon Golfers, ladies, Guys, make it a part of your Spring Picnic Thing @ RCC! "Shadow Lake" has been Rochester’s choice for a premier public course for over 30 years! The clubhouse facility overlooks sparkling Shadow “Lake”, a former crushed stone quarry (1920’s) before the site filled with spring water. 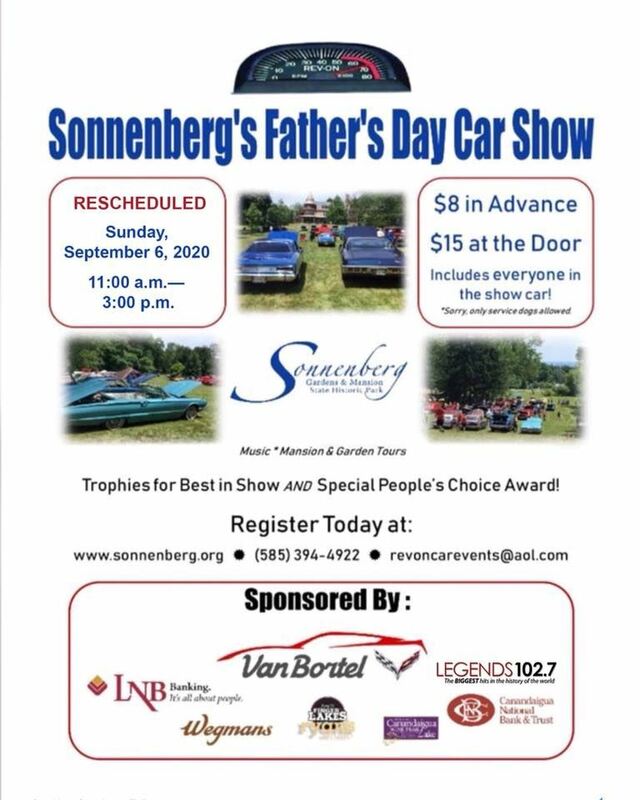 In recent years, the lake was the local swimming hole until the club's founders, the Odenbach family, began construction of a golf course and club in 1977.Golf Outing Saturday 5/18/19 8:30 am. $47.00 PP Cart & Greens Fees. Sign Up. Money Due by 5/12/19. Checks made out to Shadow Lake Golf & Country Club Mail to: George Werner 386 Upper Valley Rd, Rochester NY 14624. Cash bar will begin at 1:00 PM, dinner being served at 2:00. Cut off for reservations will be May 10, 2019. Cost per member is $20, non-member is $30. Deadline to RECEIVE all monies and reservations is 5/10/19. 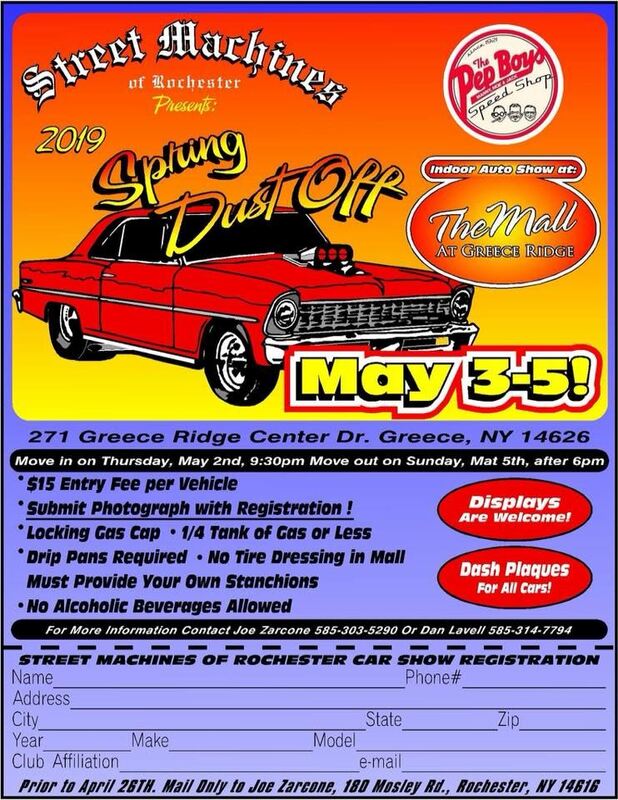 You can pay at the Club meeting in April of mail your check, payable to RCC, to our post office box to Rochester Corvette club, P.O. Box 23972, Rochester, 14692. This meeting is a week earlier because o the Holiday . 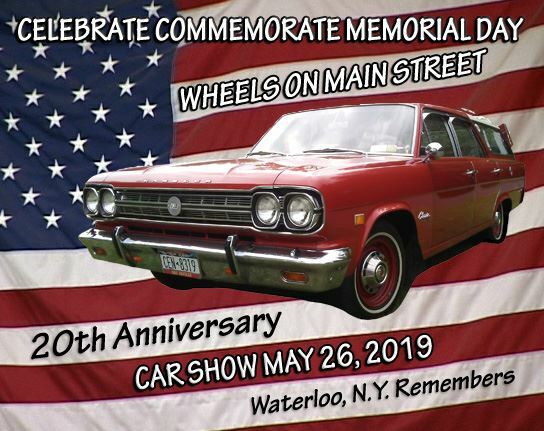 The 20th annual show, Waterloo's largest car show, will be held from 11 am to 4 pm. Registration will be from 9 am to 11am. There is no entry fee. 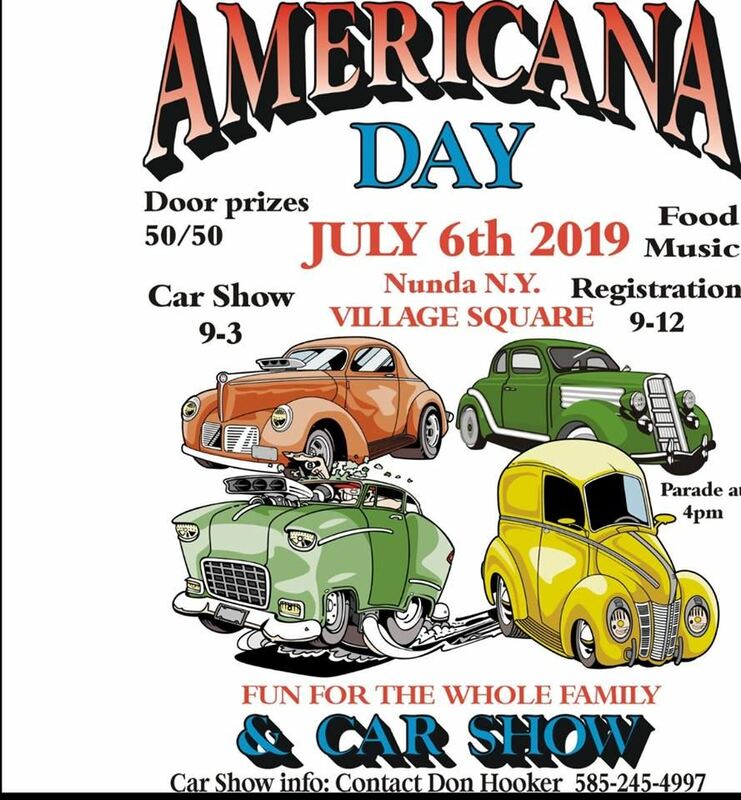 Owners are invited to display their prized antique and classic cars, sports cars, hot rods, motorcycles, antique tractors or anything on wheels! Once again, the Woodies are expected to gather on their annual spring tour. Woodie car bodies were manufactured in Waterloo in the 1950s. 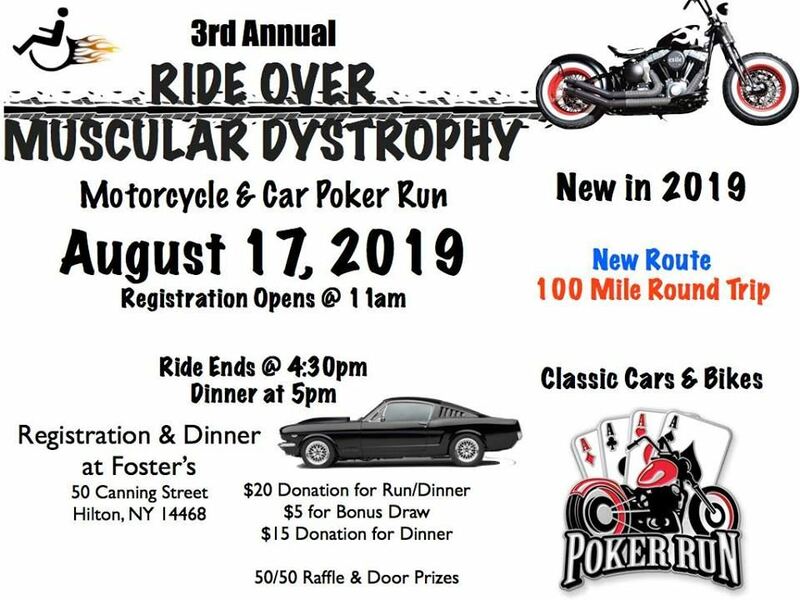 For more information or to pre-register contact: Lou LeBrun at lmlalebrun@rochester.rr.com or Bob Good at Rgood3@rochester.rr.com 0712 Waterloo-Geneva Road, Waterloo, NY 13165, 315-539-3162. Mark the date May 27, 2019 Monday. 12:00 pm. 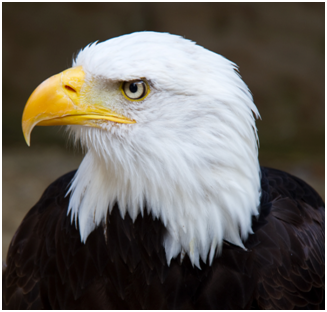 RCC and the Redwings Commemorate the Service of all our Military Veterans. This is a solemn service and all Club Members are welcome. 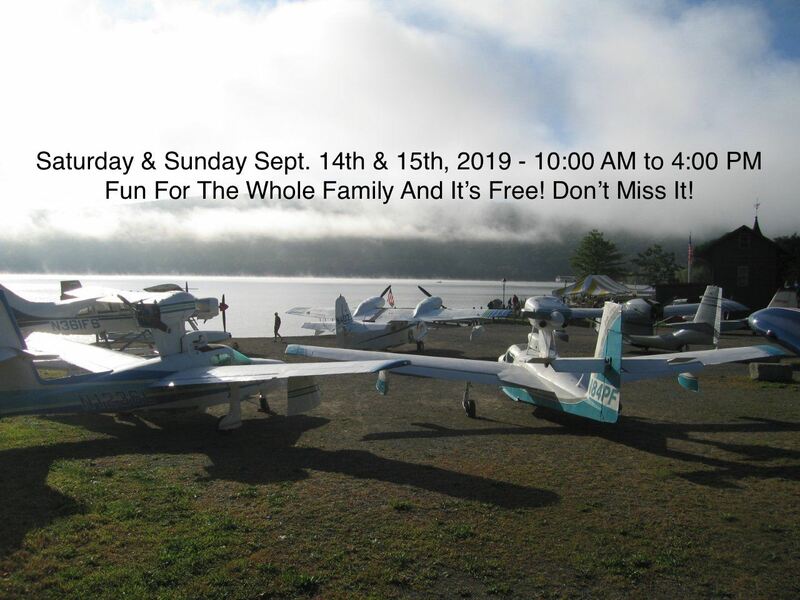 We also would like to invite all of our club members who are Vets to join us this year. 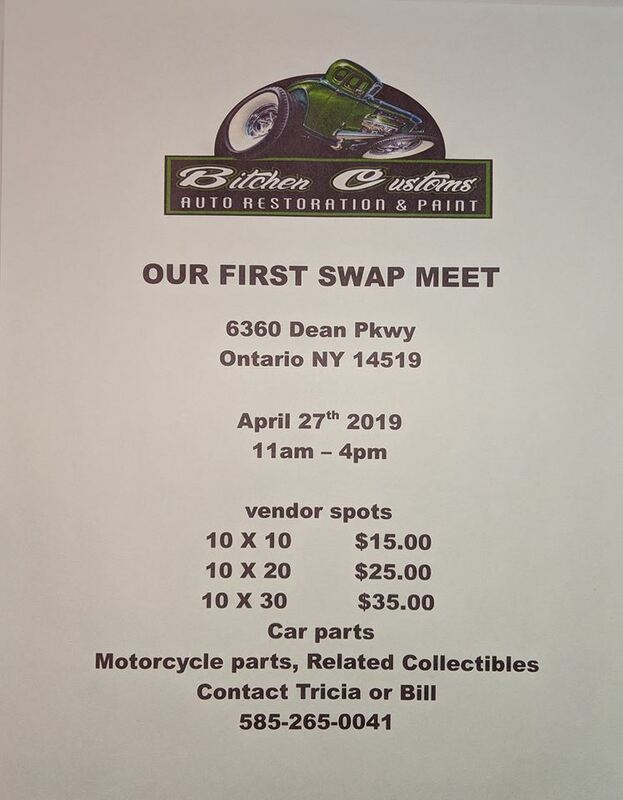 Please e-mail George Werner or call if interested. RSVP by 5/20/19 . All ticket prices are $5.00 pp for that day. Redwings are setting aside an entire section for club members who attend this momentous event. 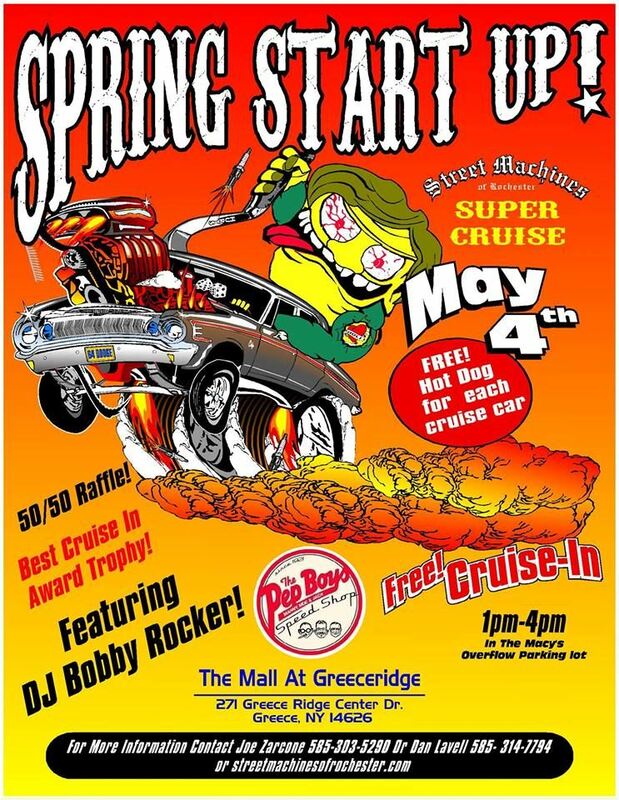 updates, specials, featured cars or rain out information. 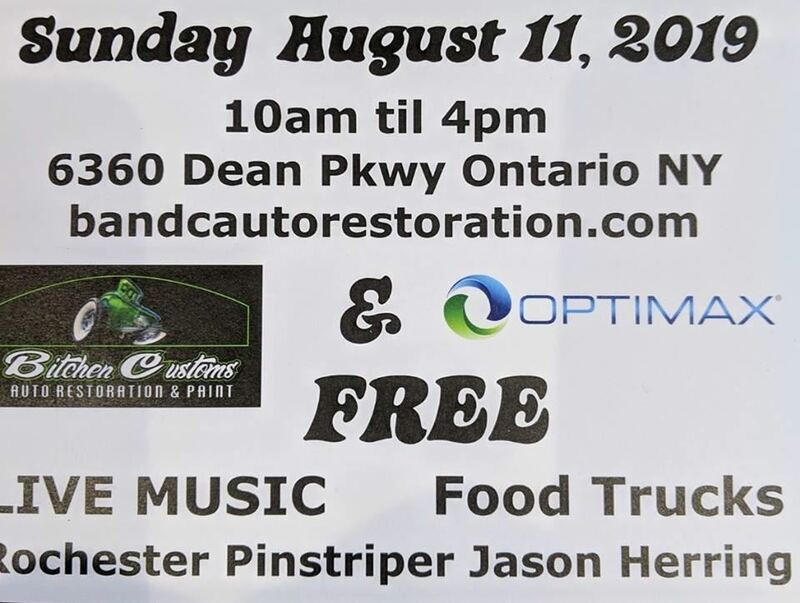 Camp Haccamo's 7th Annual Car, Truck & Cycle Show! Park directly behind Tim Horton's and Burger King. A great place to meet for coffee, check out our rides and talk cars. 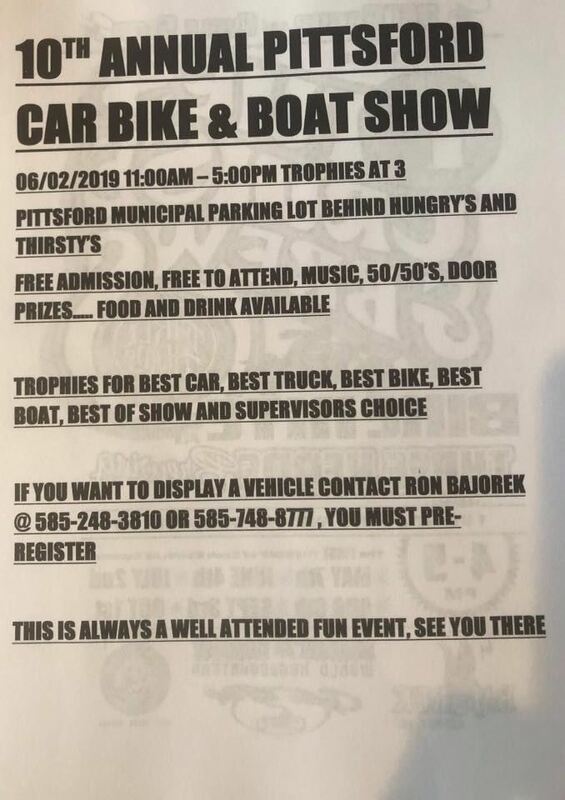 Invite your friends, all cars are welcome. Every Sunday starting June 2 through Sept 22. 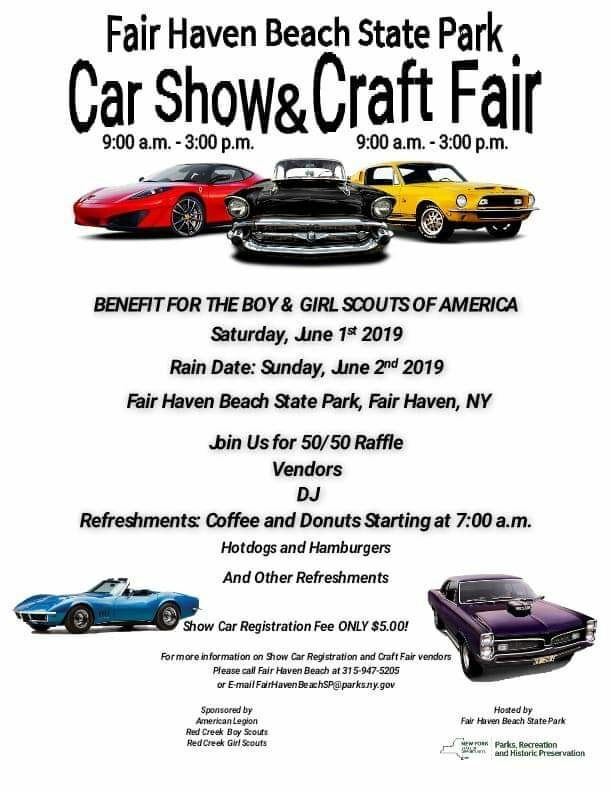 Sunday, June 17th, 2018 from 8:00am to 4:00pm. All of the usual halo events will take place again including Certification, Survivor and Benchmark judging. The annual road tour will begin with a lap around the track then travel though the Indianapolis countryside. You can also participate in the popular track events like GoldSpeed, GoldLaps, the Gold Autocross as well as the Chevrolet Ride and Drive. 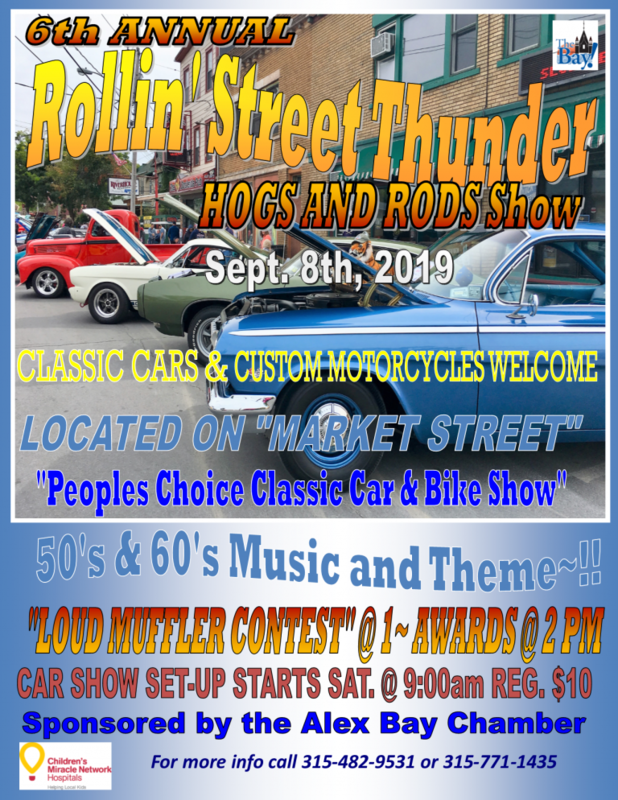 The Goldfield Corvette-only parking, GoldMine Corvettes for sale, Gold Market vendors, and Gold Year (featuring 1969 Corvettes) events all return as well. Several events are currently offering early bird discounts. And don’t forget, Bloomington Gold is welcoming Camaros this year as well. For the first time ever, Camaro owners will be able to participate in many of the same events as the Corvette owners. Survivor, Gold, and Benchmark Certification of Camaros isn’t currently offered but could be added somewhere in the future. Click here to register online or call them at 309-888-4477. You can always email cathy@bloomingtongold.com for more information as well. Bloomington Gold 2019 will take place Thursday, June 20th – Saturday, June 22nd at the world-famous Indianapolis Motor Speedway in Indianapolis, Indiana. Early bird Single-day passes are $22, and 3-day early bird passes are $50. All tickets include parking. Kids 12 and under are free. This month our off site meeting will be at Tom Wahls in Avon. Come early and have dinner prior to the 7:00PM meeting. Please ignore this map, it is for our home meetings at the church only. June 27th - 30th, Thursday thru Sunday or at your own schedule: " The Weathertech United Sports car championship Sahlens Six Hours of The Glen" at WGI. Come watch the Corvette factory team in the GTLM class compete against the competition. Also featuring the Daytona Prototype (DP) class Cadillac Racing Cars and the (GTDaytona) class. These sports cars and drivers are some of the best in the world! This racing weekend will be combined with the Michelin Pilot Challenge, Porsche GT3 Cup and the Lamborghini Super Trofeo. Corvette Corral tickets will become available first to Corvette enthusiasts who went to the race in 2018 and will have the option to renew after November 5th. WGI will be sending out the renewal. They will be open to the public after January 8th. Lodging is at the Microtel in Bath, N.Y. 607-776-5333. You must mention the Can-Am Club / America for reserved group room rates. Rooms are limited so book early. 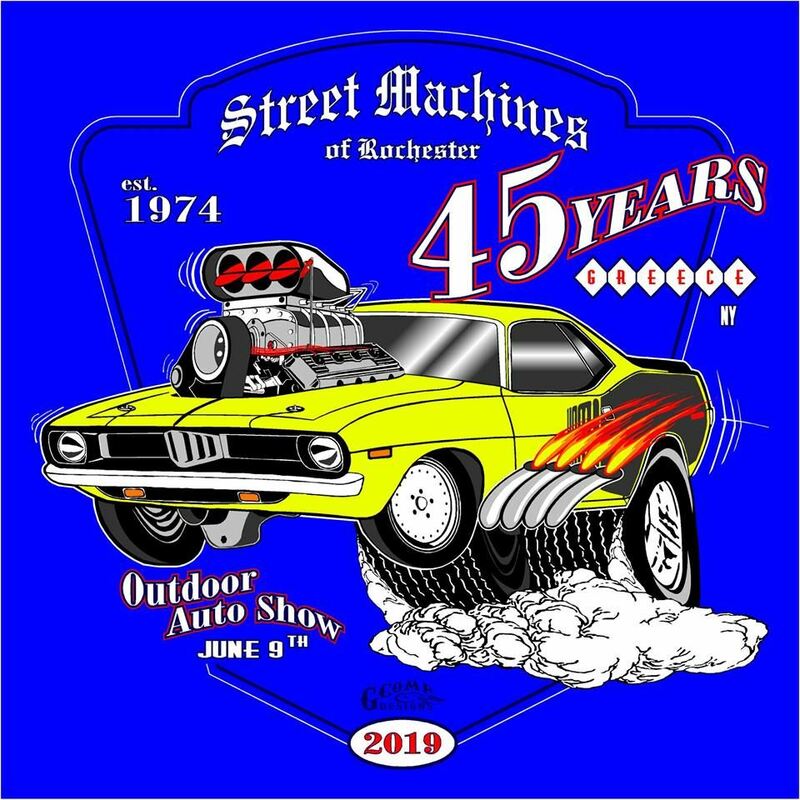 July 4th -7th Thursday thru Sunday and returning on Monday, or at your own schedule; "The Weathertech United Sports Car Championship series -Mobil 1 Sports car Grand Prix of Mosport - CTMP". Go to www.canadianmotorsportpark.com or call 1-800-866-1072 for tickets. Tickets available Spring of 2019. 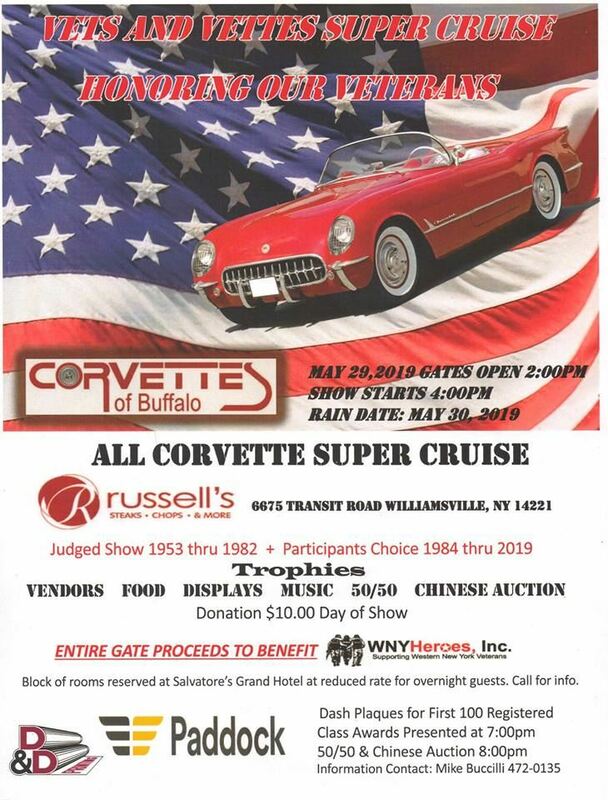 Ask for the Corvette Corral ticket. 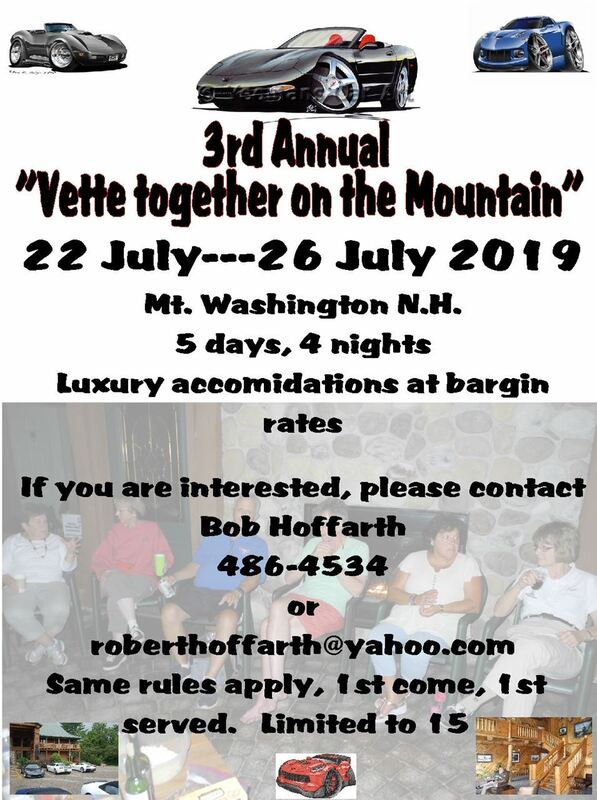 For lodging please contact Janet Polasek at canamcorvetteclub@outlook.com. Get ready to cheer on the Corvette factory team. See John Och (johnpatoch@yahoo.com) for additional info. Free to all, just come and have fun. 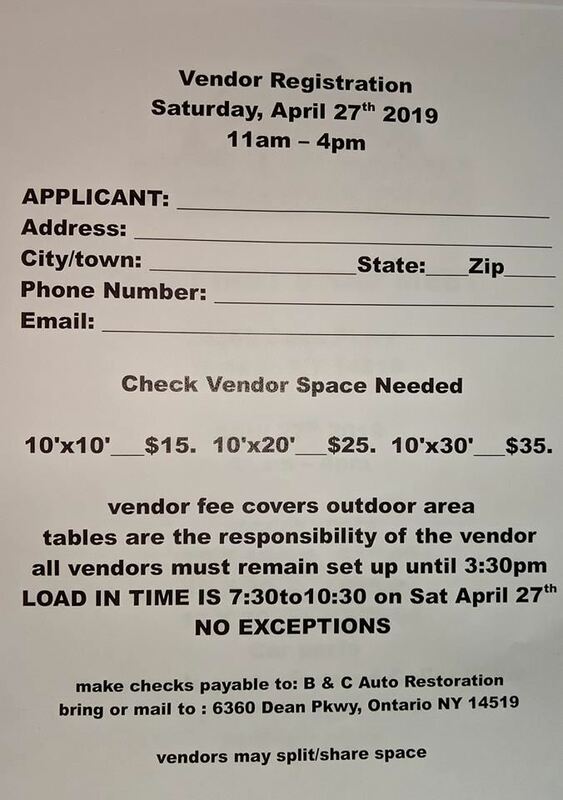 Would you put this out to the club as if anyone wants to caravan to the 25th anniversary celebration they should contact Cathy Musselwhite ASAP to make sure they get a spot in the caravan. The attachment is very detailed and has all the information needed. 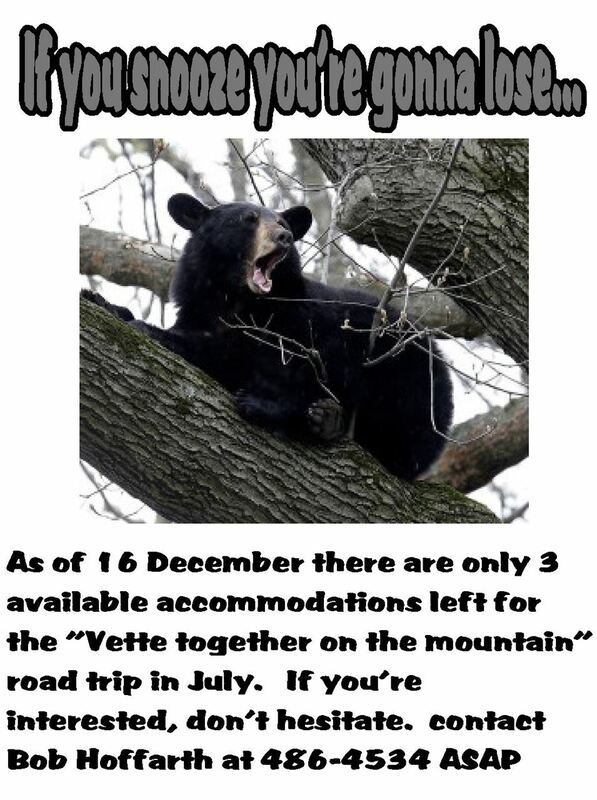 Contact Cathy Musselwhite at cathdan48@gmail,com. She is the NY State Coordinator. 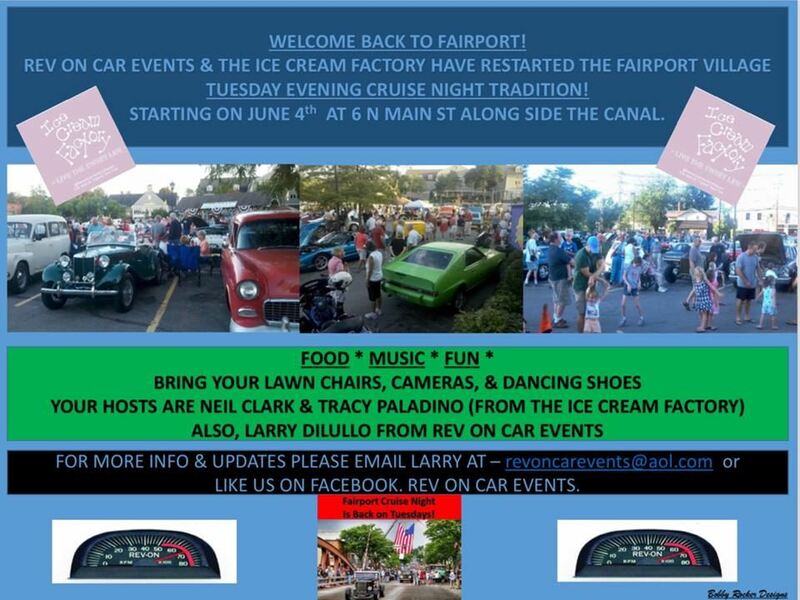 Again this year Jim Barton's food truck will be set up in the parking lot. They plan to be set up at 5PM, so come early, eat & socialize before the meeting! Registration will begin in 2018, on the National Museum's web site. Watkins Glen International "The Pirelli World Challenge Finale"
August 30th - September 1st, Friday thru Sunday or at your own schedule:"The Pirelli World challenge at WGI". This weekend will be full of action and will feature GT(GT/GTA/GT cup), GTS(GTS/GTA) the new GT4 series and the Touring car(TCR/TC/TCA) with double header sprint races. Tickets will be available in the Autumn of 2018. 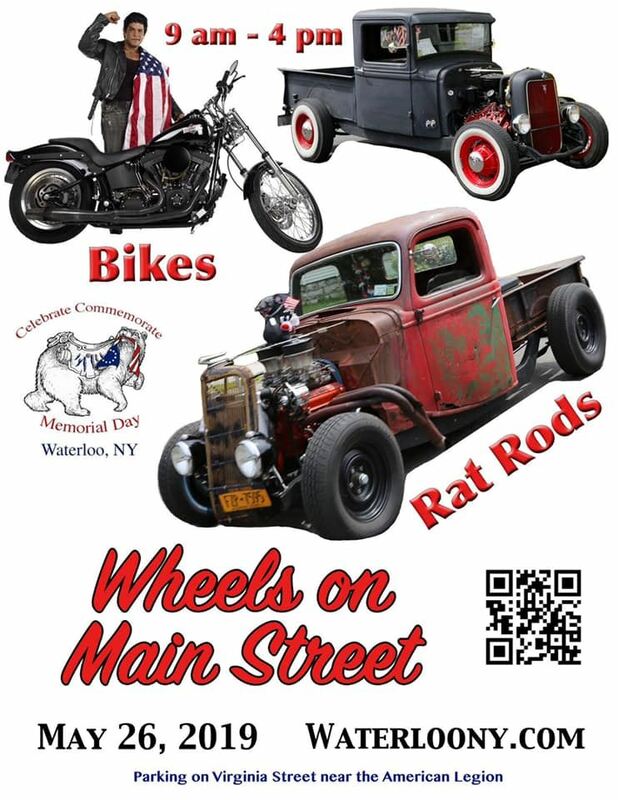 Go to Watkins Glen International - Watkins Glen International for more info. September 6th-8th Friday thru Sunday or at your own schedule. 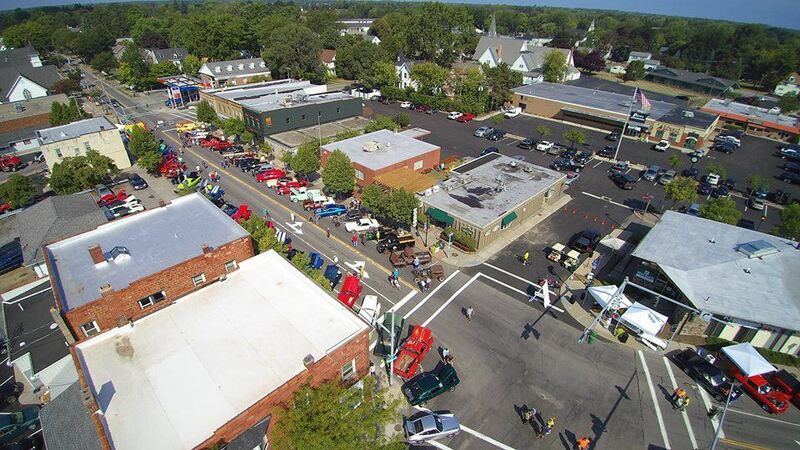 Go to www.grandprixfestival.com for info about Fridays free festival and to downtown Watkins Glen. 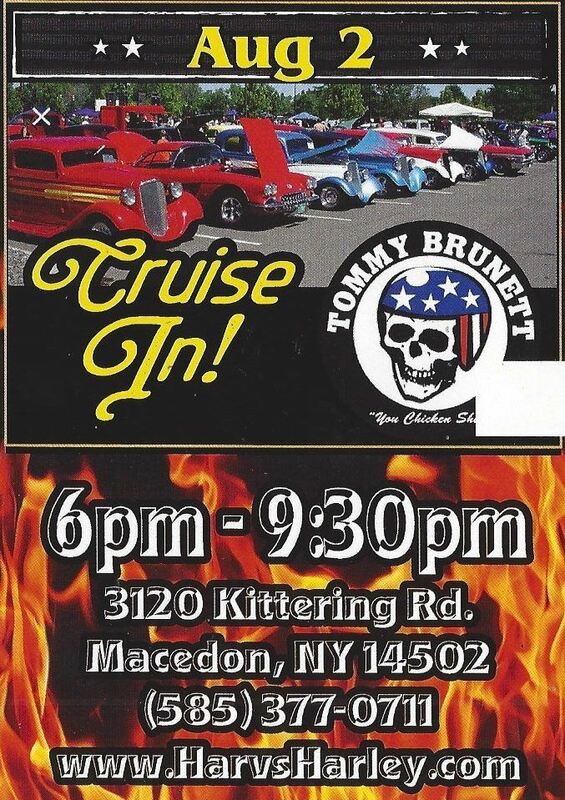 The Triumph will be the Marque for this event. This weekend will be combined with the www.svra.com Vintage racing series and the Trans-Am series. 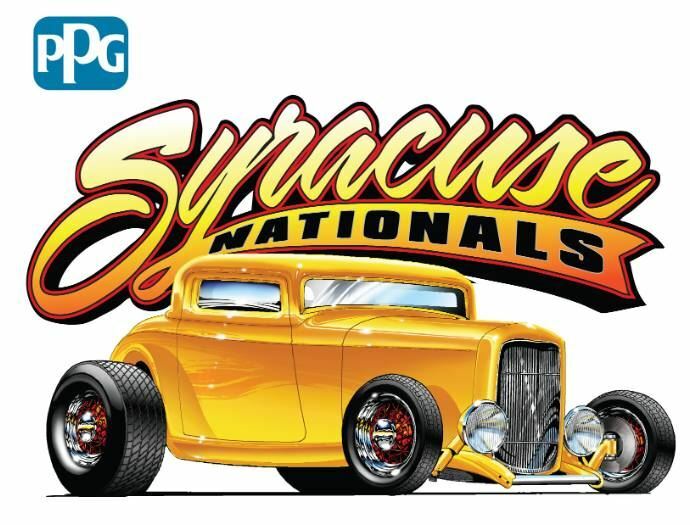 tickets available Autumn of 2018 or go to Watkins Glen International - Watkins Glen International For lodging, its the Microtel in Bath, N.Y. 607-776-5333. You must mention the Can-Am club for reserved group rate. This will be one power packed weekend of racing fun. Don't miss this one!